Underutilized rooftops and roadways are catching the attention of creative communities around the world turning wasted space into gardens and power plants. ProgressTH looks at a few examples of how people are turning wasted space into productive sanctuaries and localized powerhouses. 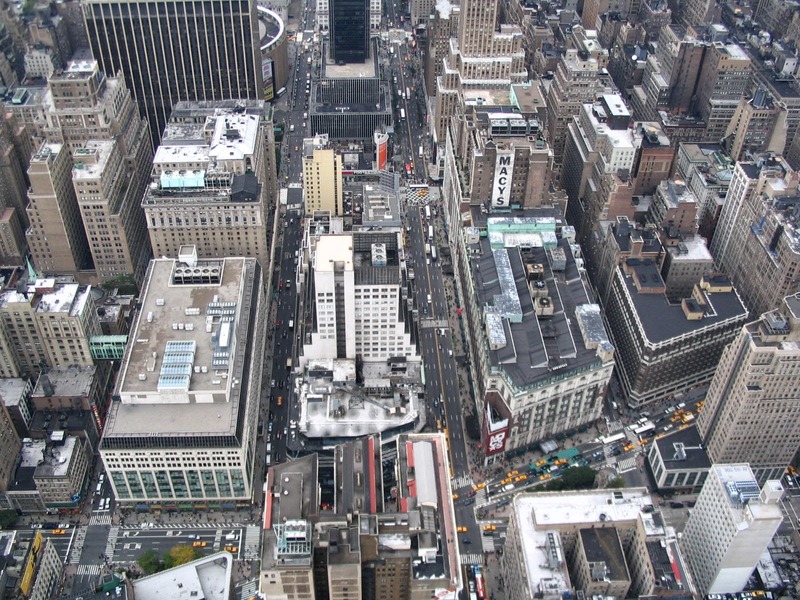 Go to the top of any tall building in any given city and look down. What you might notice is the barren wasteland that is the rooftops of the surrounding buildings. These forgotten realms are baked by the sun during the day and irradiate heat at night. They deflect water during storms, and otherwise provide a rarely seen but still enduring blight to the urban sprawl around them. Our cities' rooftops and roadways could some day allow us to double the space we currently have, to be used for power and food production. Tentative steps toward achieving this are already being made, and not by our governments or big companies, but by local communities working together. Next, walk along the streets of any city, particularly a tropical urban center like Bangkok, and feel the sun beating down on you from above while the heated concrete irradiates you from below. Until recently, it didn't pay to think much of what possibilities these otherwise uncomfortable and underutilized spaces might hold. Technology and shifting paradigms regarding local communities is changing that for the better. In Singapore, rooftops are being turned into bountiful gardens, utilizing otherwise wasted space, absorbing heat and light that would otherwise bake the surrounding urban sprawl, and providing healthy, locally produced food to nearby restaurants, thus cutting down lengthy, pollutive, and wasteful logical chains. And in Idaho, one company has produced a prototype solar roadway that may transform the way we look at our otherwise underused, baked sidewalks, driveways, and streets. Singapore is a tiny island republic. One could walk across it in a day. It is home to some 5 million people and arable land is more or less nonexistent. This means that the vast majority of Singapore's food is imported. Not only does this pose issues regarding what some call "food security," it is also an added expense for Singaporeans who must pay extra for the lengthy logistical chain they live at the very end of. For an island covered in urban sprawl, the search for agricultural space ended not beneath Singapore's feet, but above their heads, on the rooftops. ComCrop is a social enterprise that has successfully proven just how useful that space above really is. 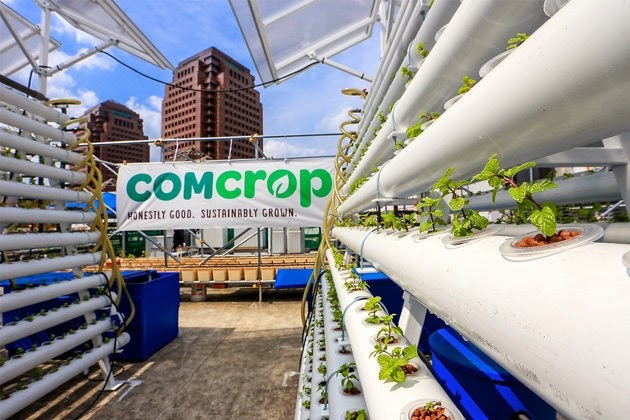 Located "above" the heart of Singapore's premier shopping district (Orchard Road), ComCrop is said to use "6,000 square feet of space" to produce "8-10 times more than traditional farms over the same area by using vertical farming techniques." The genius behind ComCrop isn't just their techniques, but their business model. They are not just producing food and selling it. They have turned ComCrop into a social enterprise that provides educational opportunities to those within their community and inspiration for others to follow in their footsteps. On their Facebook page, they share weekly events where people from across Singapore participate in this innovative experiment. Their choice to network with local restaurants is another important feature of ComCrop. It further stitches the project into the community, and the community itself closer together. For those that were once dependent on long logistical networks extending far beyond Singapore's borders, this local interdependence provides a refreshing resurgence of traditional village life but combined with all the benefits of living in a highly advanced urban center. It marries the best of two worlds together and allows those who were once unwilling to compromise between urban modernity and traditional rural life to have a taste of both. The benefits of knowing exactly where our food comes from dwell in both a social dimension, and in terms of personal health. ComCrop's success is a green-light for the rest of us to begin looking up as well as below the next time we think about the merits of a community garden. It is also a reminder that there is no excuse not to roll up our sleeves and begin growing our own food. An artist representation of a road covered in Solar Roadways' smart panels which include solar cells for power production, sensors to collect information, and LEDs to relay that information to drivers. Solar Roadways, based in Idaho, United States, has been developing a prototype solar panel that doubles as a road surface. Strong enough to drive on, the first demonstration model has been revealed in GizMag this month in the form of a driveway. The dream of Solar Roadways' founders, Scott and Julie Brusaw, is to replace the asphalt roads of America with power-producing solar panels. The panels include not only power-producing solar cells, but also LED lights to serve as indicators for drivers, and even sensors to detect people and wildlife on its surface and relay the information down the road to alert oncoming traffic. 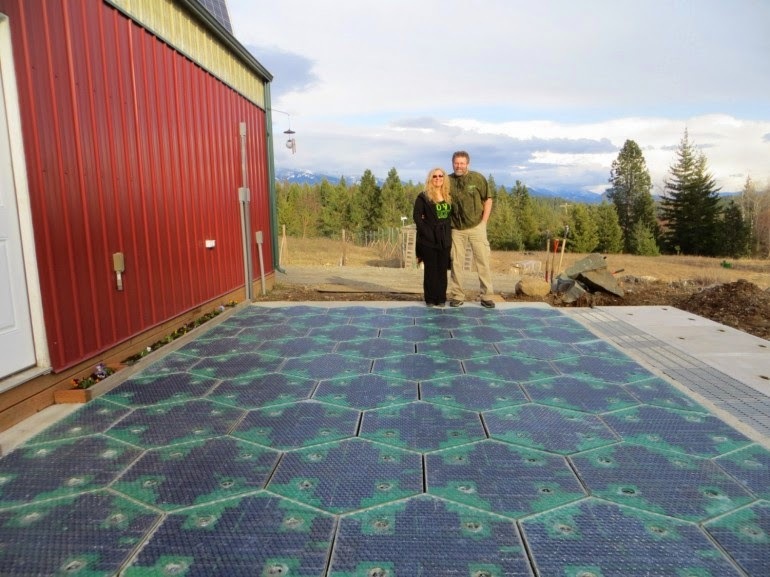 The prototype solar driveway, now completed at Solar Roadways' lab in Idaho, is the equivalent of a 3600-watt solar array. 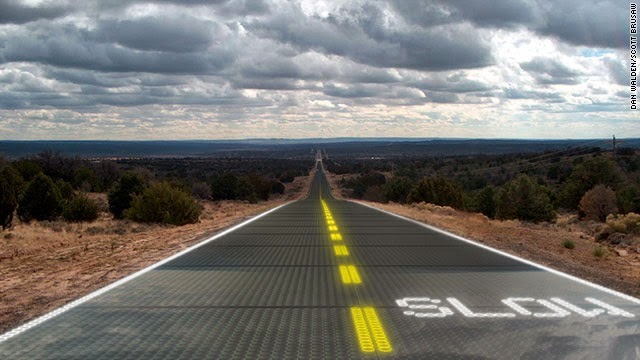 Solar Roadways has turned to crowdfunding to take their concept from prototype to production. The finished prototype, a functioning solar powered driveway. While the dream of covering America's roads with solar panels might seem out of reach for now, intermediate goals of covering parking lots and driveways with a "smart surface" that monitors its environment for safety and security purposes, and draws from it both power and potentially even rain water is a tantalizing idea. Imagine your driveway telling you when you had company before they rang the doorbell. Or was able to supplement your daily power requirements, or even light your driveway at night with power it collected during the day. What if it could melt snow off your driveway during the winter either with power it collected itself, or power you routed through it from your home? Maybe it could tell you the weather before you stepped outside the door. Taking a look at some of the projects hackers and makers have done with microcontrollers like the Arduino and LED lights also raises many possibilities in terms of data display and entertainment. Covering our driveways and parking lots with panels like those developed by Solar Roadways may change the way we think about these spaces. Such panels could even be incorporated in that other forgotten realm, our rooftops. We would not need to choose between a potential garden or a solar array, but could use the space for both, and perhaps much more. As readers may notice, we always defer to our local makerspaces and hackerspaces. These are places where we can pool ideas, resources, and time to research and develop concepts they may or may not yield successful results, but most certainly will yield educational opportunities and clear grasp on what is and isn't currently possible. Some ideas might move forward faster than expected. Others might be put on the back shelf until a future breakthrough makes it more feasible to pursue. In terms of rooftop gardening, the leap between technological hacking and urban agriculture is not too big. Much of what ComCrop does requires or could greatly benefit from technology, including automated irrigation and monitoring. The challenge of producing food within an urban setting is a technological one, and fits the mission and interests of many in the maker/hacker community. Generally at any given hackerspace, there is room within or nearby the premises for a small demonstration garden. 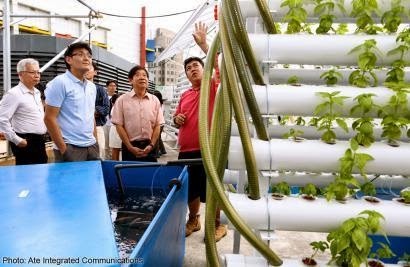 Taking these demonstration gardens to local farmers markets (like the Bangkok Farmers Market) would be a great opportunity to turn tinkering into possible entrepreneurship. As far as smart surfaces like a solar roadway, driveway, or parking lot, a hackerspace might try a "solar balcony" or "sidewalk" as a tentative first step into better utilizing the space beneath us. What both ComCrop and Solar Roadways teach us is that the development of our urban spaces is no longer a spectator sport. We can roll up our sleeves and tackle this challenge ourselves and be the first to directly benefit from the results. It is the truest and best form of activism, and perhaps the most satisfying.